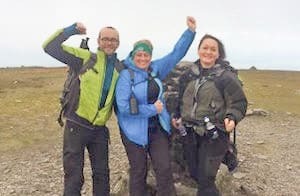 21 miles, 9 edges, 1 day: accept the challenge! 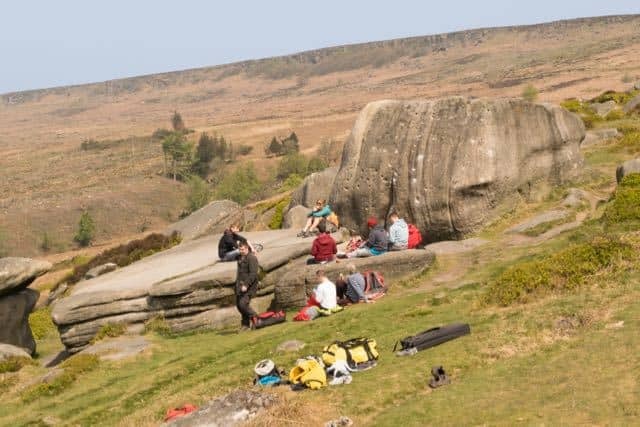 The edges: Derwent, Stanage, Burbage Upper, Burbage Lower, Froggatt, Curbar, Baslow, Gardoms and Birchen. 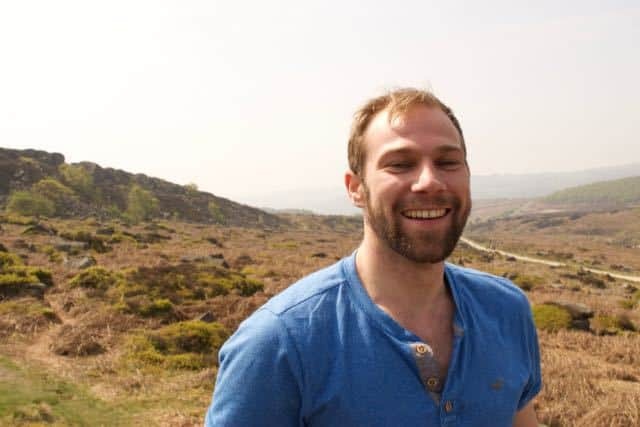 A challenge it is sure to be, but the sense of achievement when you complete this linear Peak District classic is guaranteed to make celebratory beers, cups of tea or ice-creams taste all the sweeter! 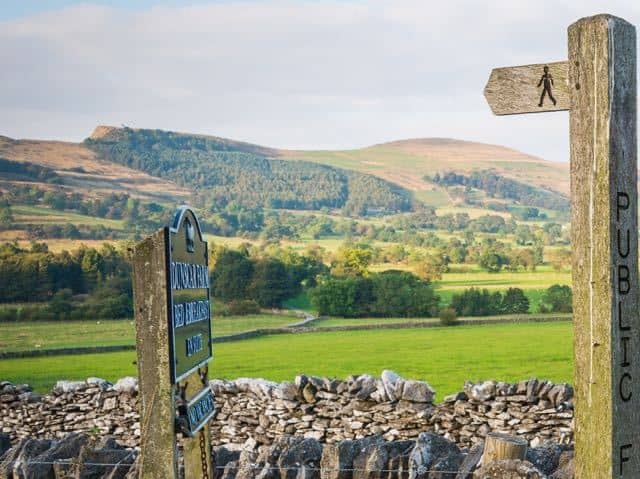 It’s a long distance walk beginning on the banks of the serene Derwent Reservoir at Fairholmes visitor centre, and ending near the quaint village of Baslow. 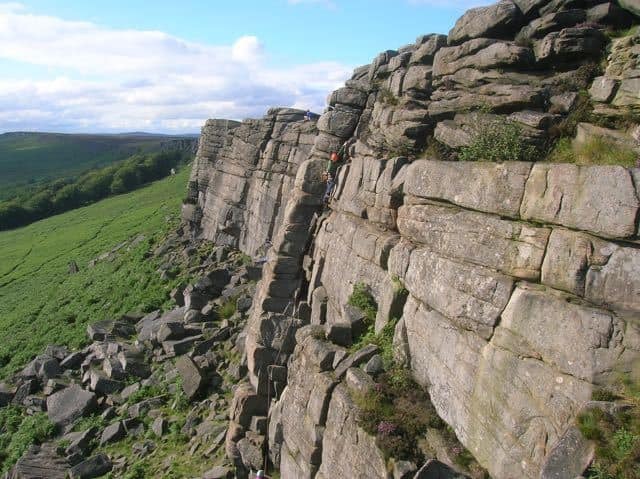 The route takes you on an undulating tour of the most spectacular views of the Peak District. Each step you take will reward you with another picture-perfect vista. Watching the River Derwent weave through trees, fields and picturesque villages, flanked by pastures speckled with livestock, cannot fail to instil you with a sense of calm. 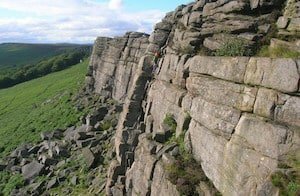 Along your way, you will see the dedicated climbers who have flocked from miles around to climb on the world famous Stanage Edge. Completing the 9 Edges Challenge for charity? 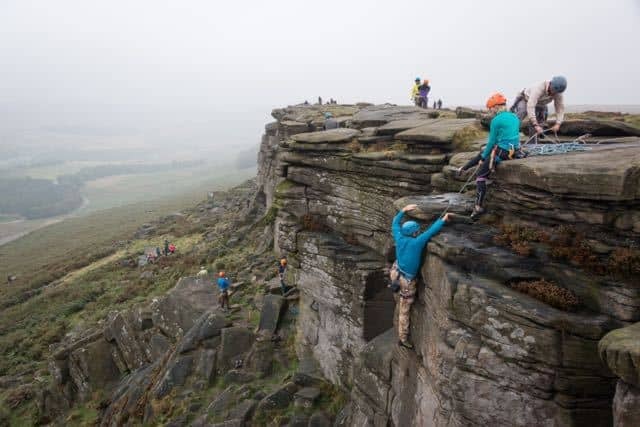 Many people complete the 9 Edges Challenge to raise money for charity. If this is your plan, we’ll be with you all the way! Most charities have sponsorship packs that will help support you – including offering a sponsorship form to track fundraising. If you don’t receive this, Lost Earth Adventures can send you one of our generic forms. For more details, including fundraising tips, visit our charity challenges page. Please note that we can be very busy in the summer months and recommend booking at least two weeks’ in advance. To book, phone us on 01904 500094 or email info@lostearthadventures.co.uk to check availability. 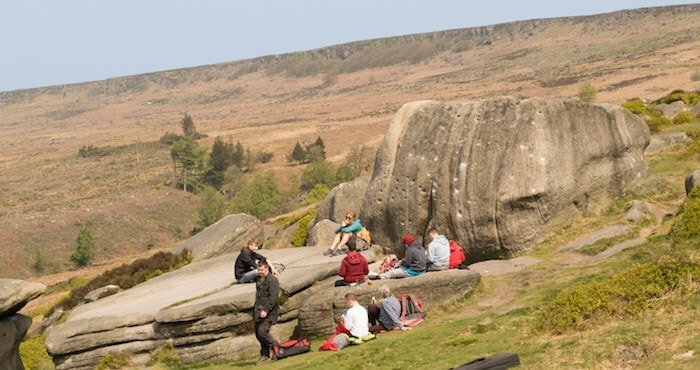 All our 9 Edges Challenges are run as privately guided walks for you and your group. Prices are per person and listed below. 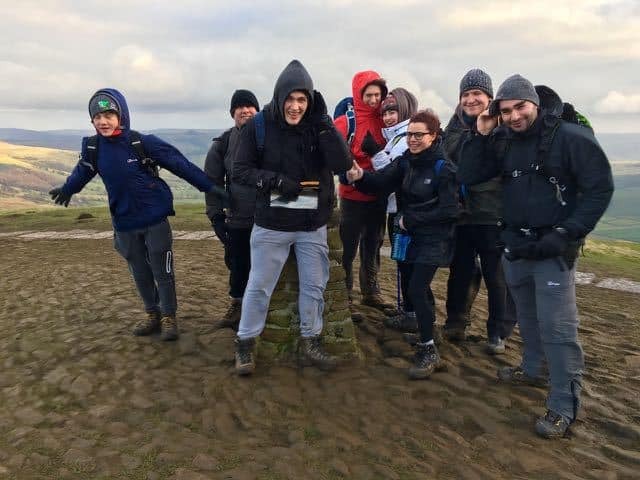 For large groups we can supply waterproofs, hot chocolate, packed lunches, support vehicles and pretty much everything else so that you can simply turn up and enjoy the event. All of these things must be pre-arranged with us at least 2 weeks prior to the challenge. Booking your place is easy! To get the ball rolling, all we need from you is an email to confirm the dates and activities as well as an initial £50 deposit to reserve your spot, then you’re on your way. The total participant numbers and the final balance isn’t due until 30 days before the activity takes place. To pay the deposit; either give us a call on 01904 500094 or click ‘Pay Now’ below after reading our Terms and Conditions..
For your safety and security credit/debit card payments are processed through Paypal. YOU DO NOT NEED A PAYPAL ACCOUNT to pay via credit or debit card. If you do not have a PayPal account, simply click on the Pay Now button below and get directed to the secure PayPal site, ignoring the option to log into PayPal. Look to the bottom of the page where you can click to use a credit/debit card. Additionally, you can buy an adventure as a gift certificate for a friend or relative to be redeemed whenever they like. You need to give at least 2 weeks notice when using a gift voucher and be aware that we can be quite busy in the summer months.  Other payment options are to: send us a cheque, bankers draft or postal order made payable to Lost Earth Adventures Ltd.
Or you can pay by BACS payment to: Lost Earth Adventures LTD, Barclays bank, account number 63070883, sort code 209956 Please state your full name with the BACS reference. You can also pay at any UK branch of Barclays giving these details or come and visit us to pay cash. Call us on 01904 500094 or email us at info@lostearthadventures.co.uk to discuss what we can do for you. Children under 18 and older than 7 are most welcome on our activities but please let us know when booking how many and what ages they are. We have no upper age limit, as long as you have the determination and a sense of adventure! If you wish to complete this challenge successfully we definitely recommend that you are reasonably fit and that you are able to carry a light daypack with you for the duration of the hike. To view the terms and conditions of booking a course in the UK please click here. At Lost Earth Adventures we are aware of the concerns for the health and safety of your group. To see a full and comprehensive list of clothing and equipment you’ll need for completing the 9 Edges Challenge, please see our Kit List page. These prices do not include transport to the venue. If your group requires transport please contact us for more information. We can arrange transport of all sizes to and from anywhere in the country. As this is a linear route, it will be up to you whether you would prefer to stay near the start or end point. There is a wealth of accommodation around Baslow, within stumbling distance of the end of the trail. 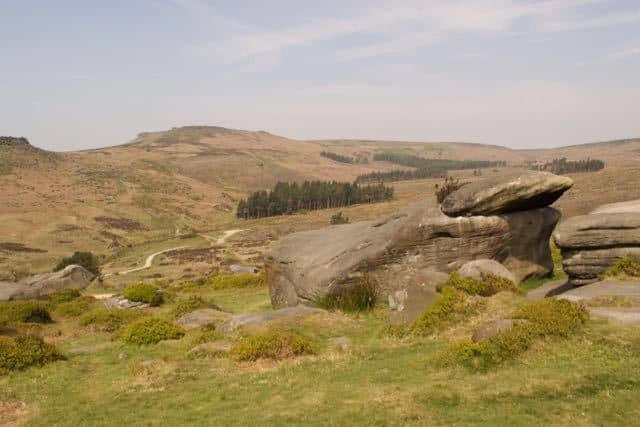 Accessing the start point is a short drive from Bamford, and there are many options for all budgets around Hathersage and the surrounding area. All these hotels are situated with excellent access to the ground of the Chatsworth Estate. Whether a warm-up stroll or a recovery bimble to get that lactic acid moving post-challenge, the beautifully manicured grounds of the estate are a wonderful way to spend a couple of hours. A firm favourite for cosy bed and breakfast, hearty meals and good local ales is The Devonshire Arms. Dogs are welcome! For a touch of luxury, the Cavendish Hotel offers wonderful 4* accommodation with a restaurant that is sure to help refuel after a hard day out on the trails! 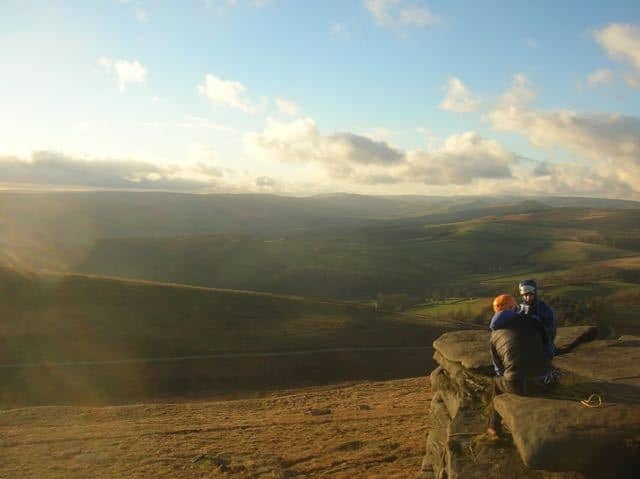 The closest accommodation to the beginning of the trail is the Ladybower Inn, offering a traditional pub experience with spectacular views from its doorstep. The Yorkshire Bridge Inn has superb views over Ladybower reservoir, with simple, cosy rooms, free breakfast and pub fare. 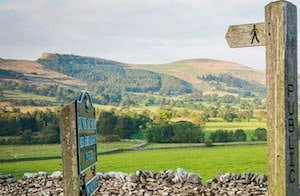 Swallowholme Camping & Caravan Park, on the banks of the river Derwent, is the nearest campsite to Fairholmes Visitor Centre. Have you ever dreamed of climbing the UK’s highest peaks? 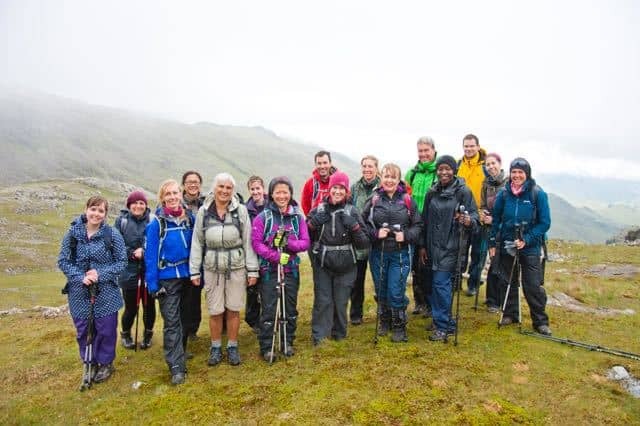 Then read more about the National 3 Peaks Challenge! Spend the weekend in the Peak District. 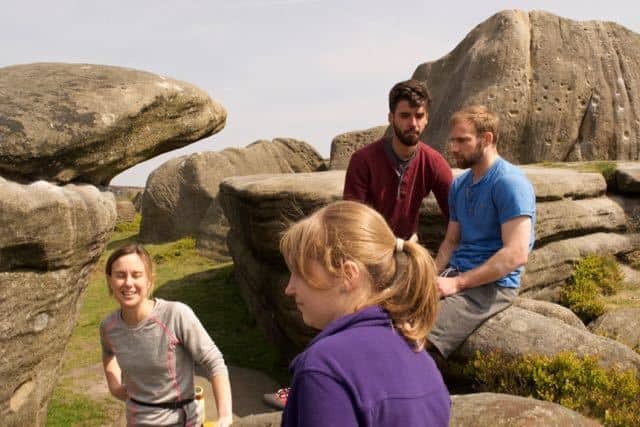 We’ll provide you with two nights of accommodation with breakfast included at a hostel in the heart of the Peak District National Park. Arrive the night before you attempt to complete the 9 Edges Challenge, and relax knowing that you won’t have far to go after the challenge is done. Price: from £239 per person, minimum 8 participants. Contact us to discuss with one of our team members. Michelle Thompson – Click here for more reviews.